On August 25, 2010 at 1:30 p.m., detectives from the Area II Criminal Investigation Section charged Dustin Kaneta-Ogata, M-30, of Kailua-Kona, with first degree terroristic threatening and reckless endangering. 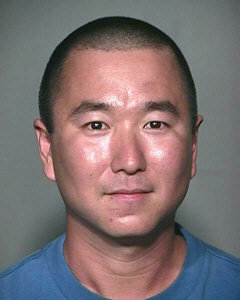 Kaneta-Ogata was arrested on August 23, 2010 after witnesses related that a 30-year-old man fired a shotgun from his balcony following an altercation with neighbors. He is being held at the Kona police cellblock in lieu of $4,000 pending his initial court appearance.